Take 10-15 drops in juice or water 2-4 times a day, preferably between meals or on an empty stomach, or use as directed by your healthcare practitioner. For more information see Dr. Wilson’s Program for Adrenal Fatigue. What is Dr. Wilson’s Herbal Adrenal Support Formula? 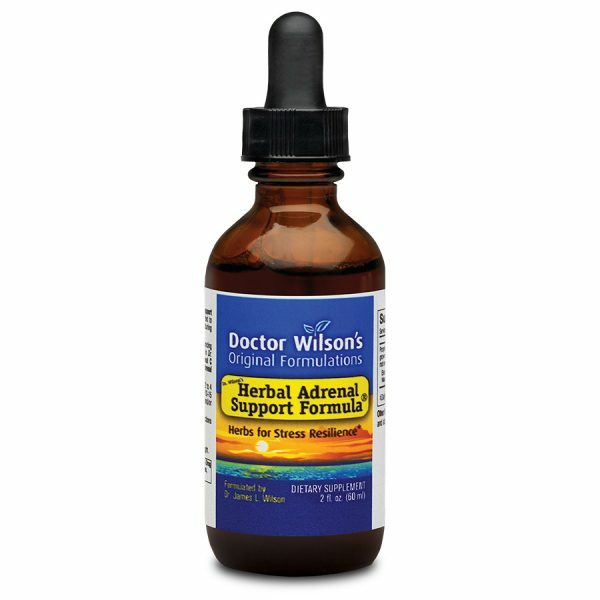 What does Dr. Wilson’s Herbal Adrenal Support Formula do? How does Dr. Wilson’s Herbal Adrenal Support Formula work? 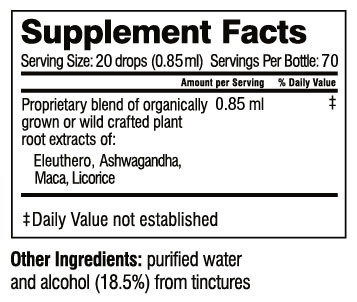 Does Dr. Wilson’s Herbal Adrenal Support Formula contain natural or synthetic stimulants? 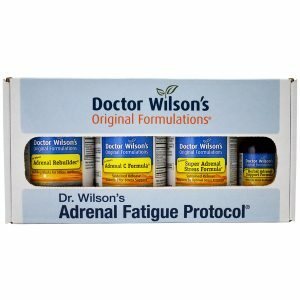 Does Dr. Wilson’s Herbal Adrenal Support Formula contain any hormones or steroids? What is the difference between Dr. Wilson’s Herbal Adrenal Support Formula and Dr. Wilson’s Herbal HPA? What kind of stress is Dr. Wilson’s Herbal Adrenal Support Formula designed to help? Who can take Dr. Wilson’s Herbal Adrenal Support Formula? How quickly will Dr. Wilson’s Herbal Adrenal Support Formula begin to work? What is the best way to take Dr. Wilson’s Herbal Adrenal Support Formula? When should I take Dr. Wilson’s Herbal Adrenal Support Formula? How long can I take Dr. Wilson’s Herbal Adrenal Support Formula? Can I take too much Dr. Wilson’s Herbal Adrenal Support Formula? 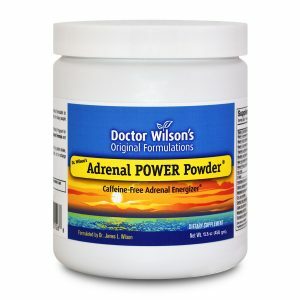 Does Dr. Wilson’s Herbal Adrenal Support Formula lose its effectiveness with continued use? Can I take Dr. Wilson’s Herbal Adrenal Support Formula with prescription or non-prescription medicines? Are there any side effects in taking Dr. Wilson’s Herbal Adrenal Support Formula? Is the quality of Dr. Wilson’s Herbal Adrenal Support Formula reliable? The Herbal Adrenal Support Formula gave me my life back. I tell everyone I know about how I got better. Also, my 17 year old son wanted to say thanks for the suggestion of using Herbal Adrenal Support Formula for his acne. It has been a miracle worker for him. Thanks for your help. I can’t tell you how much of a miracle the Herbal Adrenal Support Formula is for sleeping. I’m really excited about it! The products by Dr. Wilson really work. The Herbal Adrenal Support Formula is like a miracle. I am very, very pleased! I like using the liquid Herbal Adrenal Support Formula. Thank you for a great product. It has been 2 months since I started my program of taking the Herbal Adrenal Support Formula and following the information in the book. I have also realized how much stress I had in my life. I am very grateful for the book and the products.